I decided to make popsicles mainly because it’s been so hot (of course)! and also I had a few cans of coconut milk sitting in a fridge for a while (originally to make a whip cream). 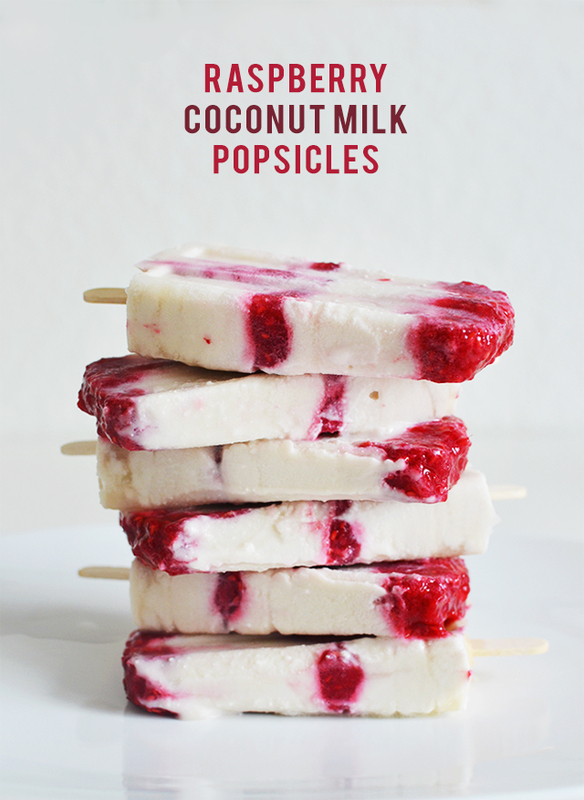 The combinations of coconut milk and raspberries are amazingly good. 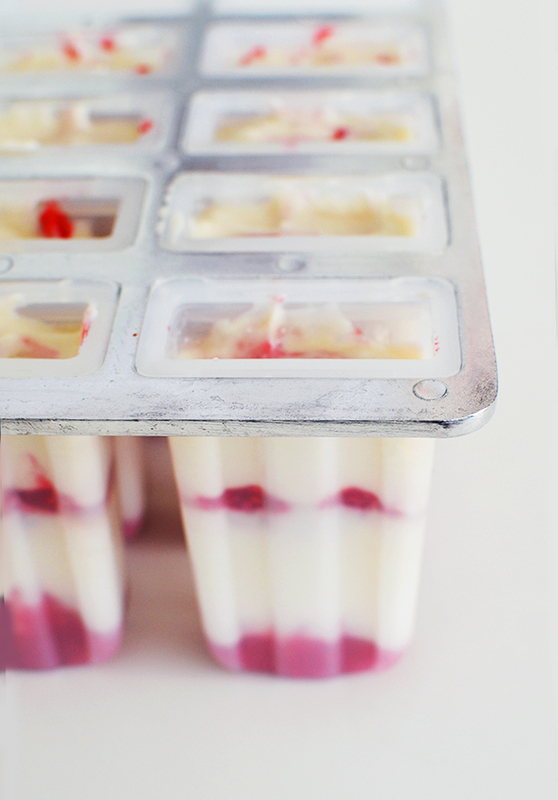 I love them because these are made with very few ingredients using this popsicle molds, which I love and easy to make (aand daily free!). 1. 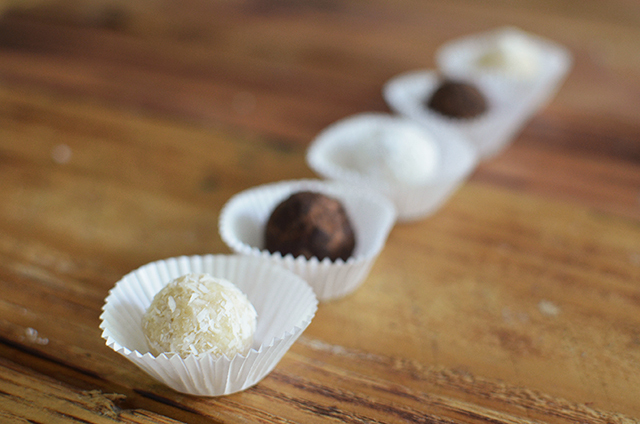 In a medium bowl, combine coconut milk, 1/4 cup honey, salt and vanilla extract and whisk to combine. 2. 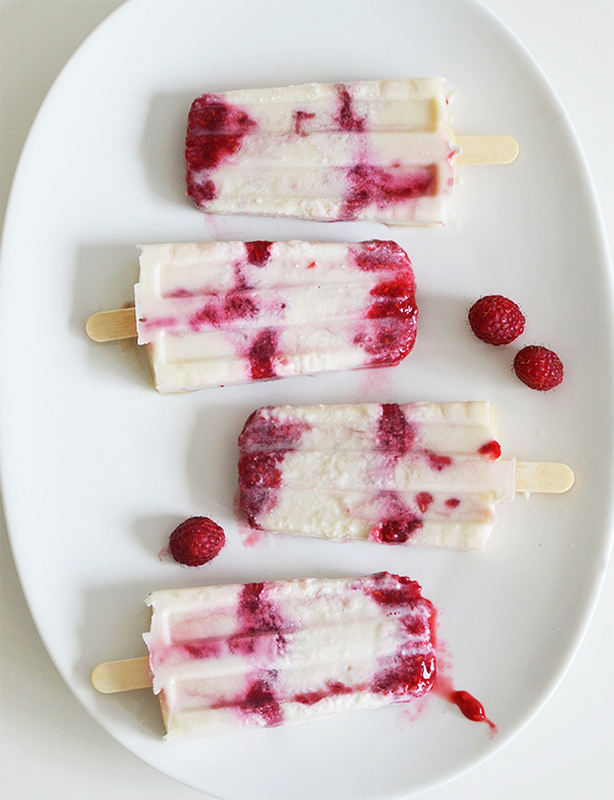 Puree raspberries in a blender, then add 1 tablespoon honey. 3. 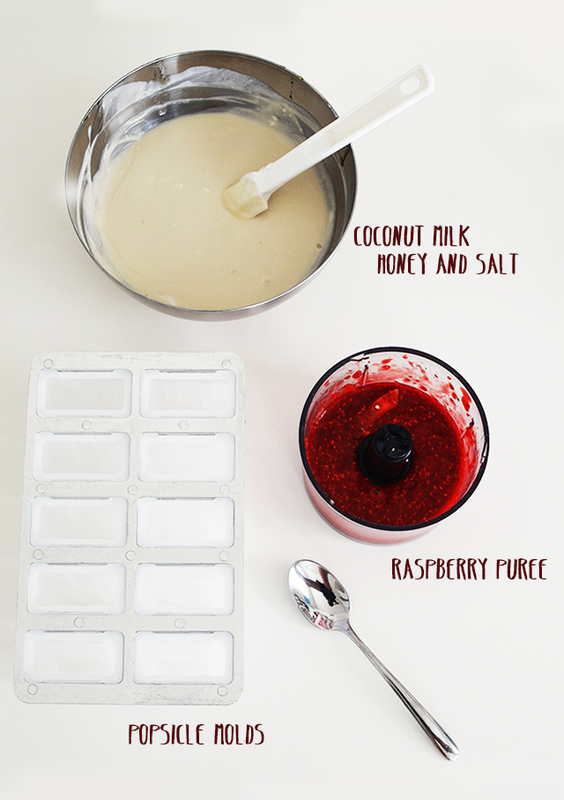 In your popsicle mold, add one layer of the raspberry puree, followed by another layer of the coconut. Alternate the layers until the mold is full. Freeze until firm for about 4-6 hours. * When it’s done, put the entire mold in warm water or run some warm water around the mold about a minute (or less), just enough to get them loose. I wasn’t really into coconut flavor before, but since I discovered coconut milk whipped cream, I started to try them more and more. 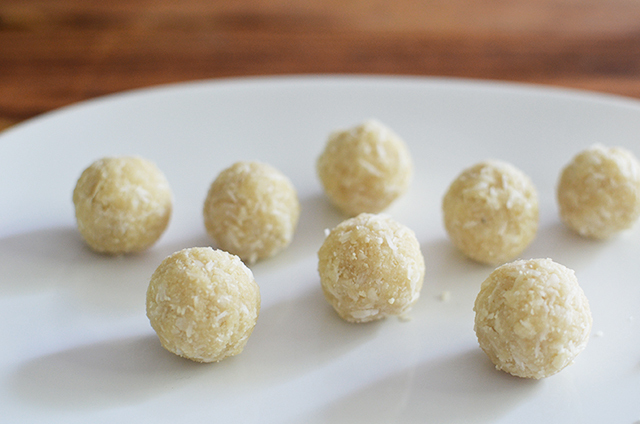 This recipe, I found online somewhere (I forgot which website..), was easy to remember because of very little ingredients and no bake required. 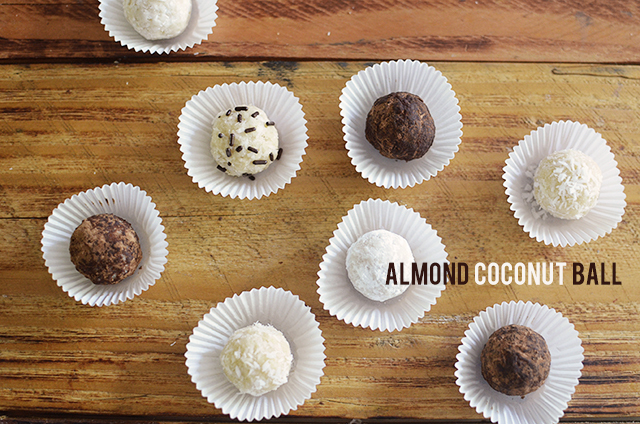 It’s so yummy and easiest recipe ever. I was supposed to use a food processor, but it turned out good without it. * I think I’ll use it if I remember next time. 1. 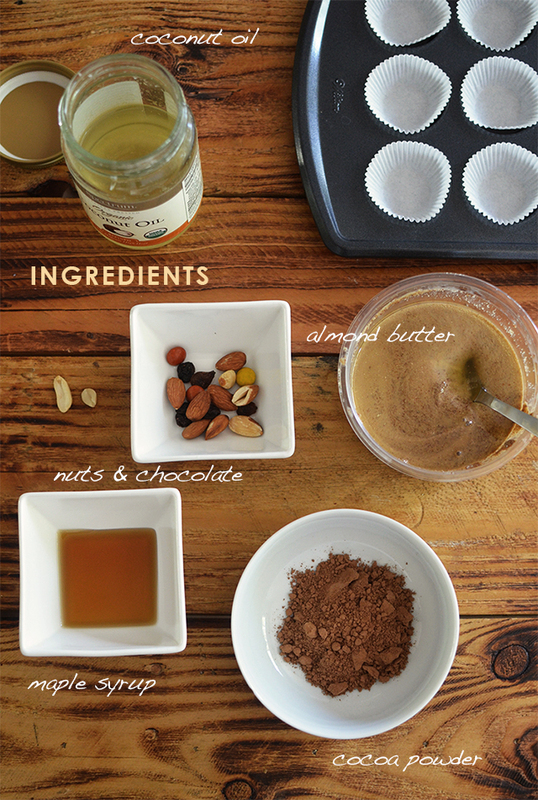 Combine all ingredients and mix well (use a food processor and blend until it became a thick paste). I’ve been craving sweets lately as always, and eating store bought cookies a lot (I blame on my husband..!). 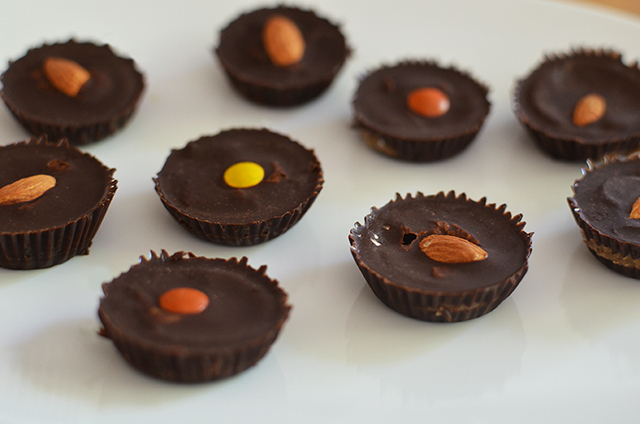 So when it finally run out, instead of stopping sweets, I decided to make something. Something doesn’t require the oven. 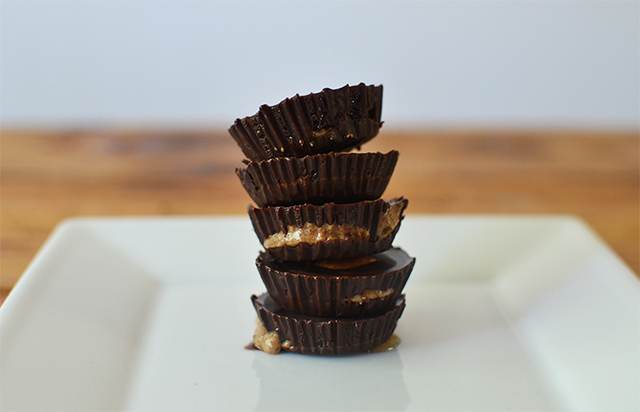 This reminds me of chocolate peanut butter cups I used to buy often, but healthier version. It doesn’t look perfect but it’s sure tasty! *This chocolate need to stay refrigerated since it tends to melts slightly if left out. 1. Mix all of the ingredients together until smooth. 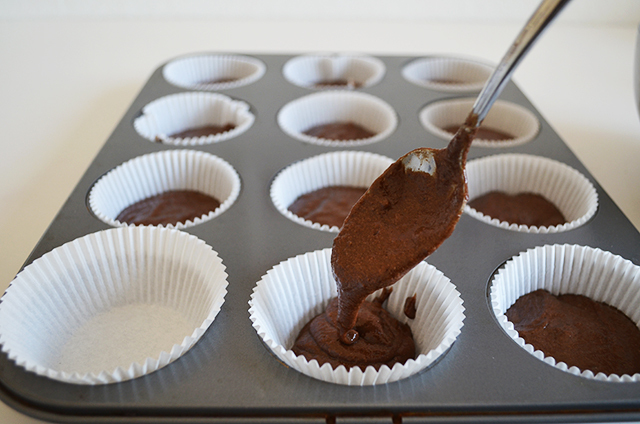 Pour the liquid chocolate into the bottom of cupcake papers to cover the bottoms. Put in the freezer about five minutes or so. Can you guess what my fridge is full of now? Coconut milk. Bunch of them! I was going to make my favorite coconut milk whipped cream, but they must’ve changed their formula and didn’t separate the cream and water (which is crucial to make whipped cream). I opened at least four cans hoping one will turn out good as before until I finally gave up. 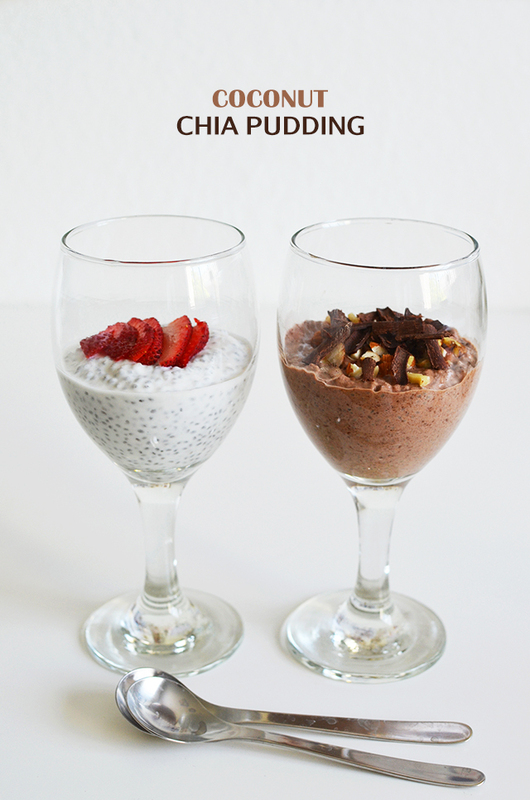 So I made chia pudding instead. I usually make with almond milk or left over coconut water, but coconut milk pudding tastes so good. 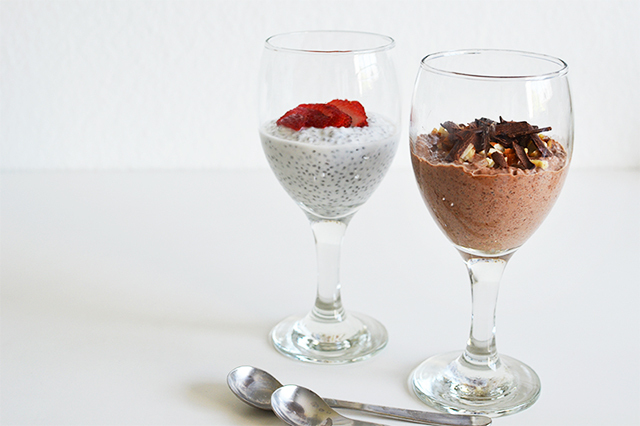 It’s easy and healthy dessert. I can make lots of them now, ha! Whisk together all the ingredients except for maple syrup. Cover with plastic wrap and refrigerate for at least 2 hours. Once you’re ready to eat stir in the maple syrup (about 1-11/2 tablespoons). 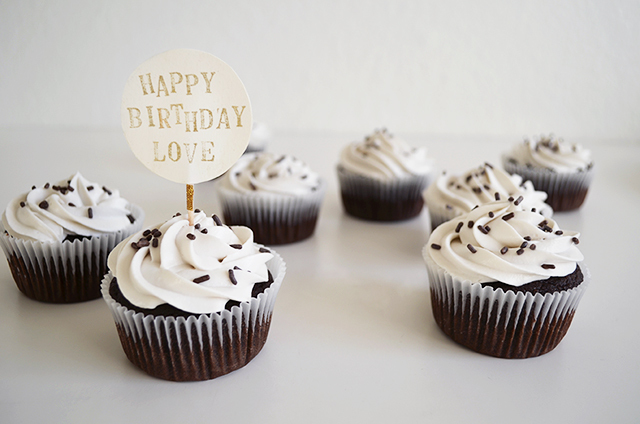 Before leaving to Japan, I baked cupcakes for Omar’s birthday. 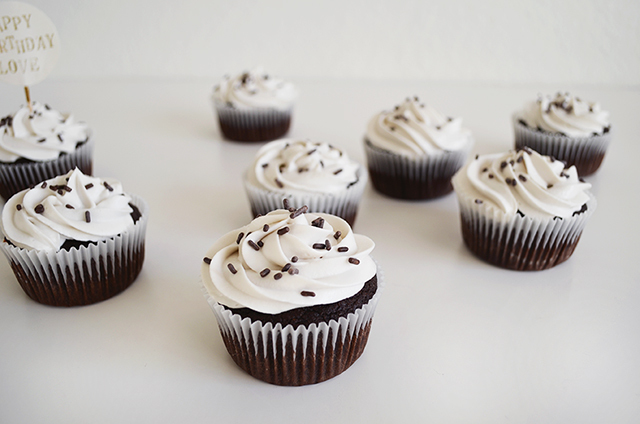 It is one of the best cupcakes I’ve ever made! (My husband prefers cookies though). (So I ate many of them myself). And it happens to be vegan. 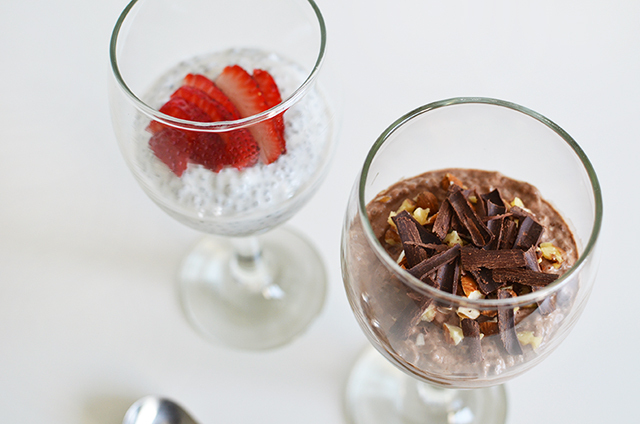 I definitely recommend it if you like a sweet, chocolate, and healthy version. The cream is my all time favorite coconut whipped cream. 1. Preheat oven 350F. 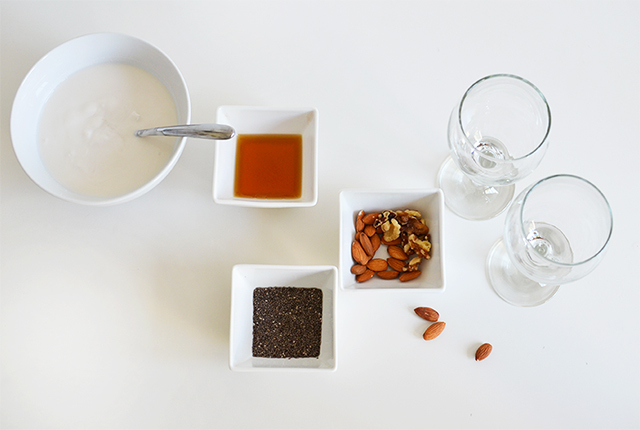 Whisk together the soy milk and vinegar in a bowl and set aside for a few minites to curdle. Add sugar, oil, vanilla exact to the soy milk mixture and beat until foamy. 2. 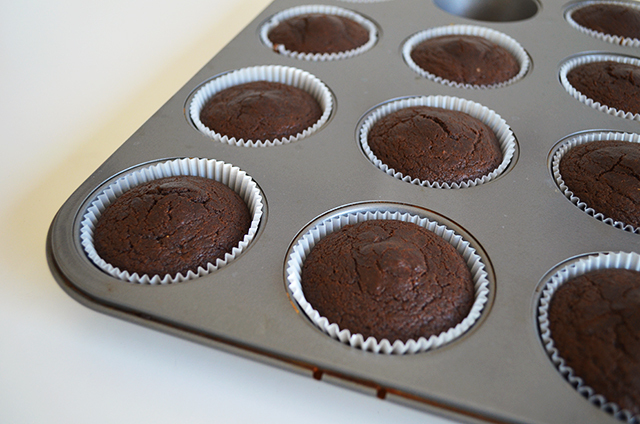 In a separate bowl, sift together flour, cocoa powder, baking soda, baking powder and salt. 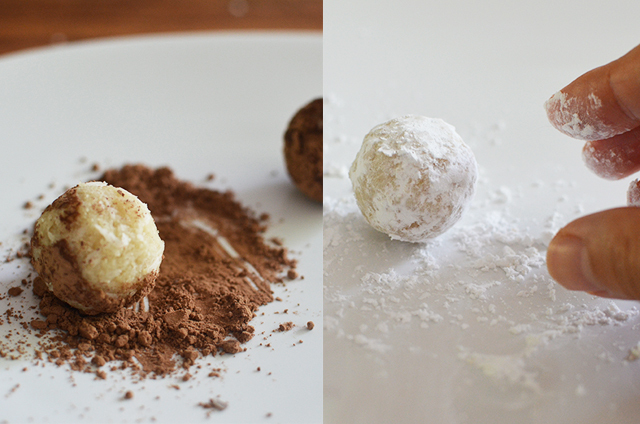 Add dry ingredients to wet ingredients and beat together. 3. 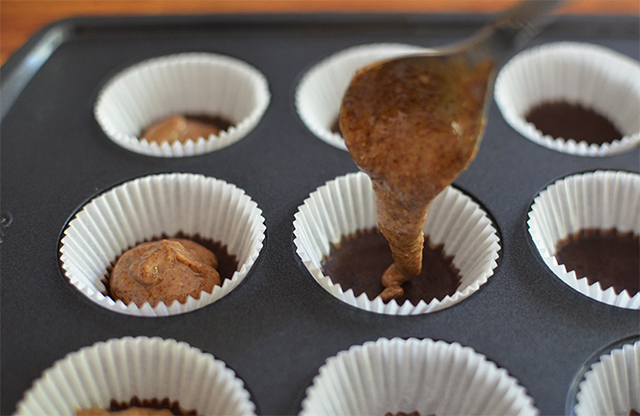 Pour into cupcake cups, filling 3/4 of the way. Bake 18-20 minites, until a toothpick inserted into the center comes out clean. 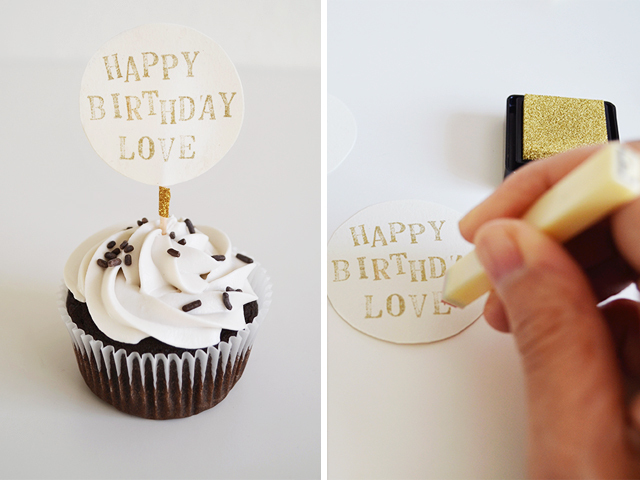 Remember this easy DIY? I used same ones again here.